Forming a bond of trust and mutual respect with our customers is essential to our customer service success. Our thoroughly trained, skilled, and experienced professionals work hard to make a formidable impression on everyone we serve. We are quite pleased to administer quality freezer repair in Airdrie, Alberta. All refrigeration appliances in the home work hard to sustain safe temperatures for perishable items. Service for these units must be provided quickly and effectively to eliminate any possibility of spoilage. Freezers require professional service and our experts are always prepared to provide it fast. 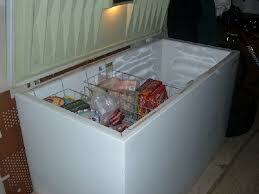 If your freezer breaks down you cannot afford to wait days for a service provider to show up and solve the problem. Fortunately for you, we offer same day freezer repairs service. One of our qualified specialists will respond to your home and display incredible troubleshooting skills to locate the issue at hand. Once the problem has been identified they will administer the most cost-efficient resolution. At Airdrie Appliance Repair, we know you need fast and accurate service and that is exactly what we provide. We offer special care for fridge repair. If your unit starts heating up, give us a call and we will make sure it starts cooling down. The problem could be as simple as worn out door hinges and seals or a bad thermostat. Our technicians keep plenty of those items and more stocked in their service trucks. The fridge and the freezer often suffer the same types of problems and we carry the right replacement parts for both. We will also service all brands of ice makers as well. Keep our local company in mind whenever the need for Airdrie freezer repair service arises. We promise to come out the same day to provide quality results. 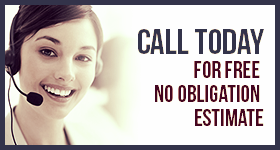 Your search for a trusted service provider is over. Give Appliance Repair Airdrie the opportunity to administer high-quality service at a reasonable rate.